During 2007's unprecedented recall on dog food, millionsof pet owners nervously watched on as brand after brand was added to the list. If you followed the reports about the pet food contamination scandal that began in the spring of 2007, you probably already know that close to 100 brands of wet cat and dog food were recalled. Most of the affected food was produced between December 2006 and March 2007, but more brands were added to the recall list on a regular basis, including some brands marketed as all natural dog food. Many well known brands and chain stores were touched by the recall since retailers like Wal-Mart, Kroger and PetSmart unwittingly sold a lot of the contaminated dog food listed. The FDA's investigation into the pet food contamination originally revealed traces of melamine in whey gluten imported from China. Whey gluten itself is a natural food product used as a thickening agent in foods, but the melamine presents a definite problem. China still uses the chemical melamine in its weed control program, but the USA does not. Melamine has proven very toxic to cats, and slightly less so to dogs, and this is probably why the death rate for cats was so much higher during the crisis. Further investigation into the recall on dog food revealed melamine in rice gluten also imported from China, and this particular contaminant was found in additional pet food brands that would not have been included in Menu Foods' own recall. It's wise to seek veterinary care immediately if you ever suspect your dog may have eaten contaminated food. Although Menu Foods immediately set up a help line to take calls from distraught pet owners whose animals had eaten the contaminated foods, the company eventually began to fight back against the people who were suing them. According to a report in USA Today that was subsequently reported by AOL News, Menu Foods harassed a number of complainants with repeated phone calls. Lawyers representing these individuals filed a motion in a New Jersey federal court to stop the harassment. U.S. District Judge Noel Hillman examined the evidence and entered a consent decree that ordered Menu Foods to only contact complainants through their legal representatives. Anytime there is a dog food recall, look deep into your cupboards for any lingering cans or packets, and check the brands and dates against the lists provided. If you suspect you've feed your dog contaminated food, call your vet right away. Next, call the FDA to find out what, if anything, your next step should be. In some cases you may be able to receive compensation for your expenses. Finally, remain vigilant. 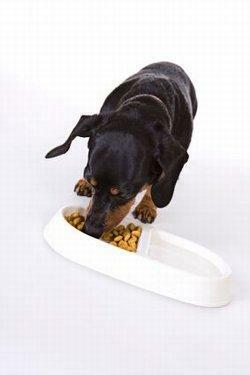 Do not risk feeding listed foods to your dog. Check the dog food recall lists daily to be sure which foods have been added or removed from the list. Your diligence may save your pet's life.